Personalise your Dower and Hall Cherish locket with a beautiful semi-precious birthstone, carry your own or the birthstones of those close to you. 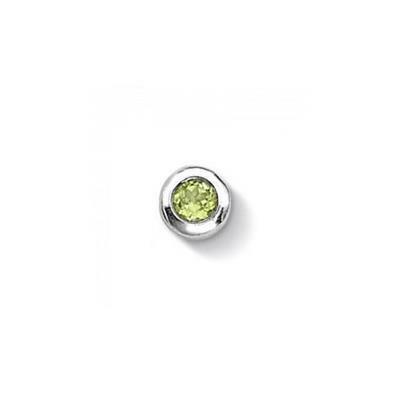 This 3mm Peridot stone is the birthstone for August, its bright green hue will add some colour to you locket. This charm fits all the Cherish lockets.